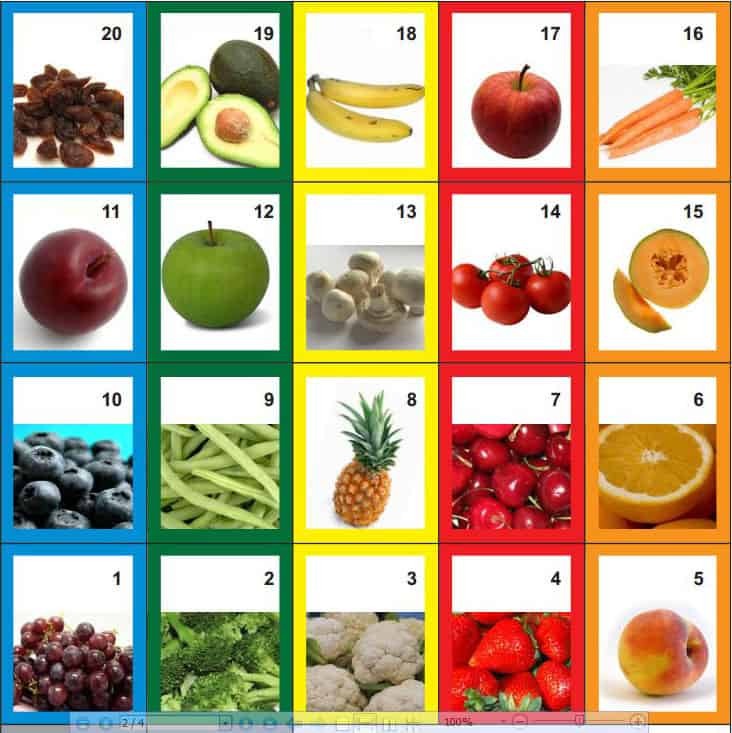 This healthy eating game is appropriate for any child who is learning to compare the values of numbers up to 20, alone or with the help of an adult or older child. A great way for young children to improve math skills while learning healthy eating habits! Print and cut-out the following playing cards and two “plates”. You can also just make your own with crayons and paper plates, or be very adventurous and play with real food! Give each player a plate, which will act as each player’s game board. Shuffle the cards facedown. Leave room for a discard pile. 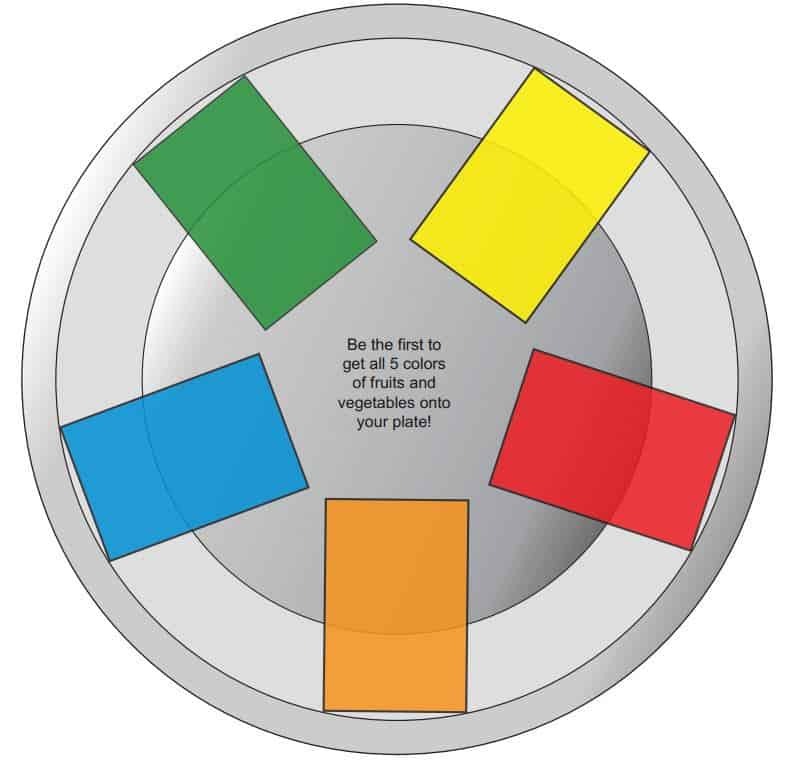 Be the first player to fill up the plate with a fruit or vegetable from all five color categories. Each player flips a card at the same time, and the highest number card wins the round and can choose one of the two played cards to place on his or her plate. Once mixed, each player takes three cards (without looking). When both players have three cards, each player can now look at his or her hand of cards. 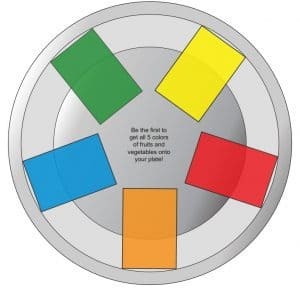 Play continues in rounds until one player has filled the plate with a fruit or vegetable of each color, representing a variety of healthy choices. Eat a Rainbow Game Cards. 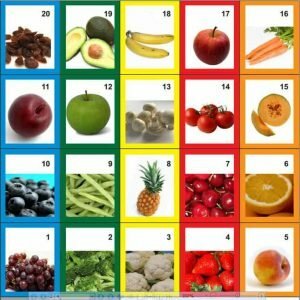 Colorful Superfoods for Young Children! 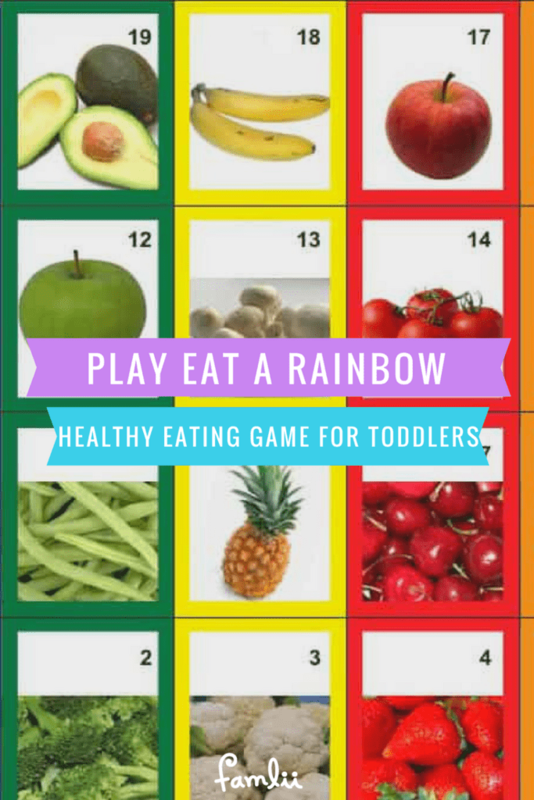 While playing Eat a Rainbow, parents can encourage their children’s math skills and science learning. Talk about the health benefits of each color superfood. 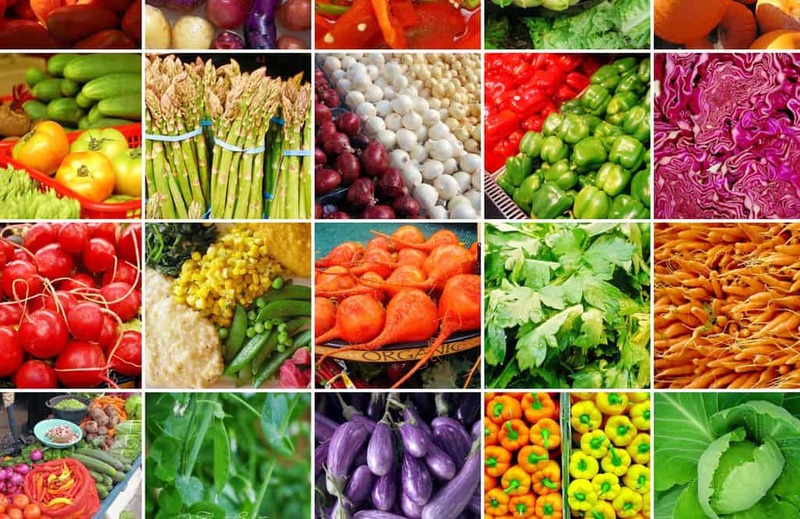 Why choose a green vegetable? Why not eat only white foods? Why are some foods more healthy than others? Talk about numbers. Put all the food cards in numerical order and count to 20 together. Why is 3 more than 1? What is similar about the number 10 and 20? Play the Addition Variation: For older children, try playing an addition game. Continue playing Eat a Rainbow until both plates are filled. Give the first player done a 5+ bonus, and add up all the numbers on each plate. The “winner” can be the person with the most “points”!